In life there are very few certainties and even less predictable events, but there is always one event that can be counted on, death. Death described by various dictionaries is the termination of life, a permanent cessation of all vital functions, clinical death (a halt to blood circulation and breathing), brain death (end of all brain activity) but is this final act of life, the end of life? Or is death just a biological barrier that needs to be crossed before an individual can progress to a different type of existence, post-mortem survival. Due to the nature of death and its physiological characteristics, the challenges posed to researchers investigating such questions of life after death are great (e.g. collecting viable data that crosses biological, cultural and personal differences or identifying similarities in experiences that span generations). One method used although exposed to subjective interpretation as it depends on individuals relaying their experiences, is the examination and the collections of near-death experiences (NDEs). These experiences are mainly but not exclusively claimed by individuals who have regain conciseness after being very close to or sometimes pronounced clinically dead. In many cases they are able to demonstrate knowledge about events and procedures being carried out on their bodies, while medical staff try to resuscitate them. They are also able to offer details of both their immediate environment (e.g. hospital room) and sometimes the external environment (e.g. waiting room) that they would not normally have sensor access to in that instance (unconscious). 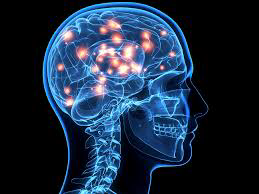 Although NDEs for the experiencer can have life changing implications (behavioural, belief systems, personality) can they be used as evidence for post-mortem survival or are NDEs as some researchers suggest only neurological phenomena that occur when the brain is starved of oxygen or exposed to trauma, generating patterns and images from waves of firing neurons. This paper will examine some of the different theories surrounding NDEs and the claims that it provides evidence of survival after death. Studies conducted on the various common elements of NDEs, categorised by Moody have bought researchers (Irwin and Bramwell, 1988; Saavedra-Aguilar and Gomez-Jeria, 1989; Morse, Venecia and Milstrin, 1989; Fenwick, 1997; Jansen, 1997; Ring and Cooper, 1997) to a number of different theories and conclusions. Work conducted by Susan Blackmore and Tom Troscianko (1988, 1989, 1993) at the Perceptual Systems Research Centre, Bristol University, discuss the origins of the tunnel experience; one theory is that the tunnel is a symbolic representation of a transition from one state of consciousness to another, a blacking out of consciousness, while crossing different states, (Robert Crookall, 1964) or a psychological phenomenon as the mind shifts from a normal 3 dimensional state of consciousness to a 4 dimensional state, (Kenneth Ring, 1980). Though Blackmore and Troscianko argues the symbolisms of why it would be a tunnel that is so often reported by individuals and not a door, gate or river, they highlight research conducted in different fields (Schachter, 1976; Siegel, 1977 and Cowan 1982) that demonstrates the tunnel experience can occur while under a wide range of mental conditions such as hypnagogic imagery, auras of epilepsy, exposure to hallucinogenic drugs (LSD), insulin hypoglycaemia and migraines, suggesting links between the tunnel experience of NDEs and physiological conditions. Expanding on the physiological theory for tunnel experiences, Blackmore and Troscianko highlight a theory by John Cowan (1982) of being able to map and calculate any hallucinations through the visual cortex by the corresponding way it appears on the retina, matching cortical form to hallucination. From this Blackmore suggests that when the brain is starved of oxygen this can lead to a state of hyperactivity within the visual cortex with neurons firing randomly. Using the mapping technique Blackmore states that there is a greater concentration of firing neurons at the point that represents the center of the visual field then at the edges of the field, which has fewer firing neurons. This pattern would take on a speckled world getting brighter and brighter, and as the visual field is biased to an outward movement direction (Georgeson and Harris, 1978), this could be perceived as moving through a tunnel. A second theory suggested by Troscianko states that it is a build-up of firing neurons within the visual field that generates the perception of moving through a tunnel, with a small number of neurons firing at first at the center and then increasing, the faster the increase the faster the movement through the tunnel. With both theories pointing towards a cortex origin as an explanation of the tunnel experiences, this would mean that any individuals who have damage to their eyes from external incidents or retinal disease causing blindness would still be able to experience the tunnel, (Ring and Cooper, 1997) but individual that have damage to their visual cortex (cortical blindness) would not be able to have the experience. This point however has now been challenged by a report published in 1998 by cardiologist Michael Sabom with includes one patients NDE. 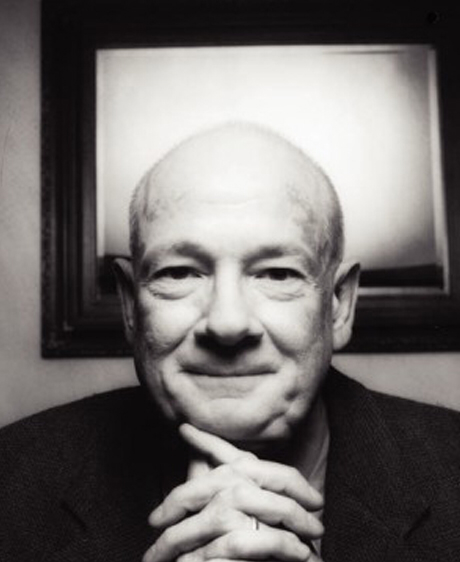 Although the experience was not remarkable different from any other classic NDE, (in-depth details of the operation, tunnel vortex, bright light and figures in the light) it is the physical condition that the experiencer was in at the time that conflicts with Blackmore and Troscianko theories. Due to the unusual surgical procedure needed on a basilar artery aneurysm, medical staff had to lower the patient’s body temperature and induce hypothermic cardiac arrest, causing her breathing and heart to stop and a flattening of her brain waves (no cerebral electrical activity), meeting the accepted criteria for brain death. In this state with no brain activity according to Blackmore and Troscianko no experience of the tunnel is possible, although this is one of the elements reported by the patient after her operation. A separate NDE theory also linked to a physiological state is that suggested by Karl Jansen (1990, 1997) in which he states that “NDEs can be reproduced by ketamine via blockade of receptors in the brain for the neurotransmitter glutamate, the N-methyl-D-aspartate (NMDA)”,this blockage of the NMDA has reported to produce hallucinations very similar to NDEs reports (the tunnel, light and beings) showing links between the NDEs and an unstable cerebral physiology. This research suggests that in the event of hypoxia/ischemia large amounts of the neurotransmitter glutamate are released in the brain that binds to NMDA receptors, these transmitters play a vital role in all cognitive processes and when released in excess amount can cause neuron death leading to brain death. If the NMDA receptor is blocked (e.g. by ketamine) then the glutamate is prevented from excitotoxicity and cell death. Jansen hypothetical purposes that as the brain is well protected and has many known defences, it would be reasonable to suggest that the brain had a protection mechanism against excitotoxicity, such as a natural substance that can block the NMDA receptor. Although he includes that the glutamate theory is not an explanation for all NDEs, he states that NDEs are the final experience of different multi-levelled (physical) causes and not just the production of a single explanation. On examining Jansen’s research, Peter Fenwick (1997) highlights a number of weaknesses in the glutamate theory. Fenwick points out that NDEs can occur in many different circumstances when the experiencer’s cerebral physiology is not under catastrophic stress such as awake and relaxed, minor infection or depressed. Jansen states that 30% of participants given ketamine strongly believed what they were experiencing were real, whereas Fenwick argues that, that percentage is far higher in reported NDEs. Fenwick also emphasise the“phenomenon of a clear sensorium in catastrophic brain states”, stressing how would it be possible for a brain that has been compromised and disorganised enough to lose consciousness be able to clearly process a NDE without confusion and memory loss. Fenwick suggests instead that these experiences may show as evidence of the continuation of the mind after brain death. Examining the claims of NDEs as evidence of survival after death although not as well published as the physiological theories, do raise questions about the understanding of the limitation of the mind. A paper published by Emily Cook, Bruce Greyson and Ian Stevenson (1998) suggest a number of different features and cases of NDEs that supports and strengthens the evidence of the survival theory. Enhanced Mentation, (not unlike Fenwick’s phenomenon of clear sensorium) this is described as how NDEs are reported in such clarity, lucid and vividly by the experiencer unlike any dream or hallucination at a time, in most cases when experiencing severe physiological impairment. Out of Body Experiences (OBEs), have numerously been reported in conjunction with NDEs, studies on this common element have included: investigations that are designed to detect whether a participant is having an OBE by testing their ability to perceive distant targets (Morris, Harary, Janis, Hartwell and Roll, 1978; Osis and McCormick, 1980) concluding that part of the participants personality must have been present at the target site. Comparing reports of events described by someone experiencing an OBE with reports of someone asked to imagine the same event, such as what a resuscitation looks like (Sabom, 1982). Both approaches supported strong evidence for the ability of the mind to function outside of the body. Paranormal Perceptions, while in a NDE to be able to view an event that could not be perceived even if normally conscious. Although infrequently reported some NDEs have included such perceptions, to test this Osis and McCormick (1980) designed a study where a target was placed that could only be viewed from a certain visual location, and recruiting an individual that had skill in inducing OBEs. Results showing a successful identification of the target demonstrated that the participant must have been outside of their physical body. These features highlighted by Cook, Greyson and Stevenson which are supported by numerous NDE cases do, when occurring together provide strong suggestive evidence for post-mortem survival, though as admitted by the researchers themselves that any NDE reported no matter how convincing is still reported by an individual that is still in some way alive and functioning enough to be revived, meaning the NDEs can never provide conclusive evidence of what happens after brain and body death. Although near death experience may not be able to give us conclusive prove of life after death, it does throw interesting questions concerning the limitations of the mind and howmuch there is still left to investigate. 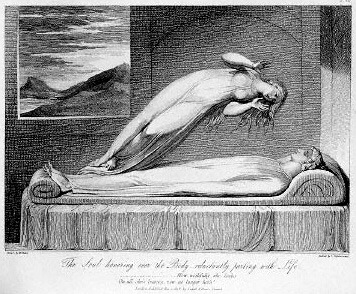 Death maybe the only certainty in life and the mysteries surrounding life and the afterlife may still continue to challenge us, but it is these challenges that build the foundations of scientific research. Blackmore, S. J., (1988). Out of the body? In Basil, R. (Ed). Not Necessarily the New Age: Critical Essays (pp. 165-184). Buffalo, NY: Prometheus Books. Fenwick, P., (1997). Is the Near Death Experience Only N-Methyl-D-Aspartate Blocking? Journal of Near Death Studies, 16, 43. Irwin, H. J., and Bramwell, B. A., (1988). The Devil in Heaven: A Near Death Experience with both Positive and Negative Facets. Journal of Near Death Studies, 71, 38. Jansen, K. L. R., (1997). The Ketamine Model of the Near Death Experience: A Central Role for the N-Methyl-D-Aspartate. Journal of Near Death Studies, 16, 5. Moody, R. A., (1975). Life after Life. Covington, GA: Mockingbird. Morris, R.L., Harary, S. B., Janis, J., Hartwell, J., and Roll, W. G., (1978). 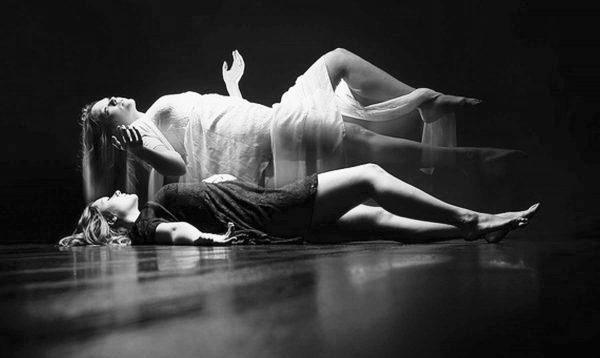 Studies of communication during out of body experiences. Journal of the American Society for Psychical Research, 72, 1. Morse, M. L., Venecia, D., and Milstrin, J., (1989). Near death experiences: A neurophysiologic explanatory model. Journal of Near Death Studies, 8, 45. Osis, K., and McCormick, D., (1980). Kinetic effects at the ostensible location of an out of body projection during perceptual testing. Journal of the American Society for Psychical Research, 74, 319. Ring, K., (1980). 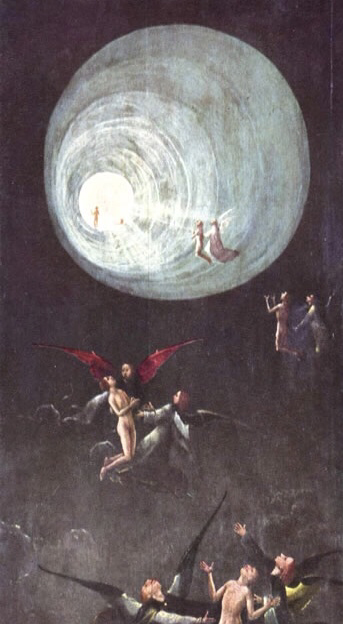 Life at Death: A Scientific Investigation of the Near Death Experience. New York: Coward, McCann and Geoghegan. Ring, K., and Cooper, S., (1997). Near Death and Out of Body Experiences in the Blind: A Study of Apparent Eyeless Vision. Journal of Near Death Studies, 16, 101. Saavedra-Aguilar, J., and Gomez-Jeria, J. S., (1989). A neurobiological model for near death experiences. Journal of Near Death Studies, 7, 205. Sabom, M. B., (1982). Recollections of Death: A medical Investigation. New York: Harper and Row. Schachter, D. L., (1976). The hypnagogic state: A critical review of the literature. Psychological Bulletin, 83, 452-481.